Are You and Your Family Prepared in Case of an Emergency? Although no one expects a disaster to happen to them, the fact of the matter is that natural disasters such as fires, earthquakes, and severe weather do happen. Thus, it is better to be prepared and never need to use your emergency strategy than to have something happen and be without one. Use these three steps to help you and your family prepare in case of an emergency. If disaster strikes your community, you may not be able to get to the store for food and water for several days, so it is prudent to keep nonperishable food and water in stock in your home just in case. As a general rule of thumb, plan for each person to need one gallon of water per day, both for drinking and hygiene purposes. As for food, stick to canned goods and dry mixes so you don’t have to worry about wasting any that you don’t use. Don’t forget to take your pets into account when putting together your emergency supply kit. Set two places to meet: one directly outside of your home in case of a fire, and one outside of your neighborhood in case you can’t get to your home. Everyone in your family must know the details of both of these locations. Find safe spots in your home for different types of disasters. Teach children how to dial 911 and what to do in case of a natural disaster. Post emergency phone numbers by the phone. 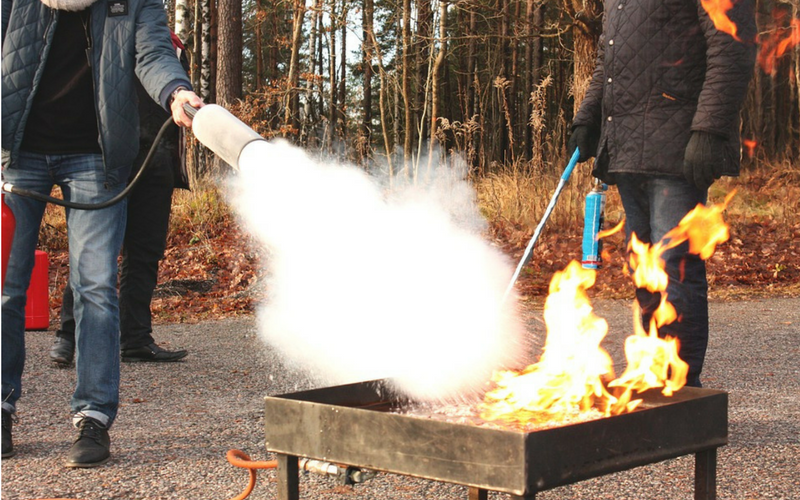 Teach each family member how to use the fire extinguisher and where it is located. Your disaster plan will only be useful if everyone in your family is familiar with it and remembers it. Practice meeting at your agreed-upon locations, and quiz children on emergency phone numbers and addresses. You should also test fire extinguishers and smoke alarms regularly to make sure they’re in good working order in case you need them to do their jobs.